Fly on the wall time! I know I've said it probably two dozen times but it's my favorite time of the month. 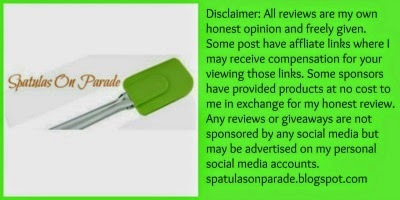 At the end of the post you'll find links to the other participants. Buzz around and see what's happening in our homes and lives. Sometimes it's shocking. Other times it's down right hysterical! thyme, rosemary, parsley flakes, fresh cracked pepper, salt, paprika, onion powder, garlic powder, chili powder and a dash of cumin. Place the lid on top. That simple! Serve with a side dish of fresh veggie or a nice big salad. The leftovers are great diced up and placed on a salad the next day or used in a lettuce wrap. What a month it has been! We moved..again. I know. We must have gypsy blood in our DNA but it's all due to his job. It's okay. Now some trivia for you. This was my 51st move!! AND I'm 51. How crazy is that??? Now what makes it even more unreal is that this was my 5th move in 6 months. Mind blown!?! The night before we left for NC we are sitting in a very well known chain restaurant. We had just finished and were waiting on the bill. At the table next to us was an elderly couple who had...well, consumed a LOT of food and alcohol. Probably in their late 60's. She starts coughing. She looks at me and says "Excuse me, it must be the tomatoes, I'm allergic. She fans the air and says "It's too tomatoey in her, I can't breath let's go" and gets up to leave. The pollen is HIGH, we walk outside and there she is. Sitting on the bench, which is green from pollen, smoking a cigarette. I laughed and said "but it's to tomatoey inside" right! We saw our youngest son, his wife and my youngest grandbaby! My husband had not seen him in 4 years almost to the day and had never seen our granddaughter who turned 2 in February. So this was a very big deal for us. It also gave us some great laughs! We are sitting at lunch and the 11 year old step brother to my daughter in law says, out of the blue. "Hello, My name is Christie Brinkley" we all just look at him. WHAT? He said it again. We all laughed. Who knows WHAT goes on in the mind of an 11 year old. We honestly might not want to know. 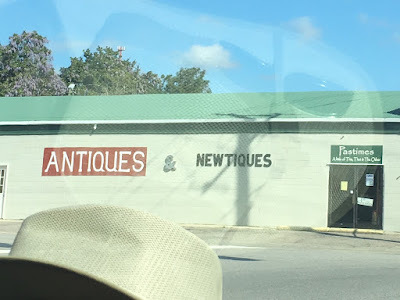 On our way home from NC to GA...saw this store in a very small town. It made me laugh. On our way back from NC to GA we are on the interstate and pass the speed limit sign. I said...wait TWO signs. Side by side? Yep. One said 60 the other said 70. I said so how fast do you go? Can they give you a ticket for going 65 in a 60/70 or do you have to be going 75+? Only in SC folks! We pass a billboard and it says "RENT ME, OUTDOOR BILLBOARD SIGN" I'm like well no duh! Of course it's outdoors, whoever saw an indoor billboard sign. SC again. I've driven a ton of miles in the last almost 4 years but never had I seen stop lights on the interstate until moving to HOTlanta. If the interstate is too congested the on ramp has a light that turns red. Then it only allows 1-3 cars on at a time when it turns green. Oh the things you see when you're on the road. So glad you're out there finding them and sharing them with us. I love roasted chicken but have to admit I've never tried it in a slow cooker. Better put that on my to-do list. I can't believe it -- FIFTY-ONE moves??!! This one really did a number on me. I can't imagine moving that often. The chicken looks wonderful. So happy for your reunion with your son and family. BTW, I take issue with you calling someone in their late 60s as elderly. Wonder what that makes me? Your trip sods fun. Thanks for sharing the recipe---I love using my crock pot!